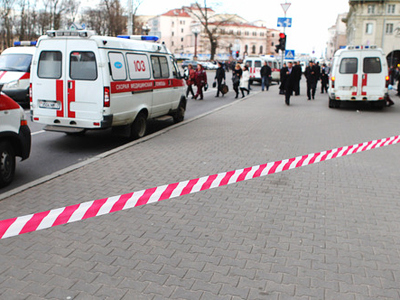 Belarusian police are hunting for two suspects over the Minsk Metro bombing which killed 12 and left 192 injured. A number of people have already been detained in connection with the blast. The country’s Federal Security Forces say three people have been detained for interrogation. The Chief of the Federal Security Forces of Belarus Vadim Zaitsev gave three possible versions for the terrorist attack in Minsk – one of them is indirectly connected to the presidential elections. “We have three versions. One is destabilization of the situation in Belarus” Zaitsev said to journalists in Minsk on Tuesday. “I don’t want to stress who in particular is behind the attempts of destabilization but it’s a fact that someone does not accept the way of life of the Belarusian society. And this is an attempt to seed fear, panic and discontent with the law enforcement authority and thus – the regime”. “The second version is the activity of young extremists”. This version is indirectly connected to the presidential elections of December last year, as some of the youth organizations were planning to take part in oppositional protests suppressed by the country’s law enforcement officials. The third version, according to Zaitsev, is an act of an ill person, “not only mentally ill, but also ill-ambitioned”. According to Interior Minister Anatoly Kuleshov, investigators have made photofits of the two suspects. “Photofits of these two people have been made based on information received from citizens," said Anatoly Kuleshov at a press briefing. The Federal Security Forces say one suspect is reportedly under 27 years old, around 175-178 centimeters tall with a medium build. He was wearing a brown cap and a brown coat. The suspect in the metro blast has not yet been detained but the country’s security forces confirm the photofit published by Russian media represents the man they are hunting for. Investigators have already watched CCTV tapes from the scene. "Besides, yesterday citizens provided us with detailed information about certain suspicious-looking people," he said. There are no women among the suspects, and police did not get any reports about suspicious-looking females seen in the metro said Kuleshov. Meanwhile, according to the latest reports from the head of investigation Andrey Shved, police have detained some people under suspicion of involvement in the blast. According to preliminary reports, the power of the blast ranged from an equivalent of five to seven kilograms of TNT. The diameter of the explosion crater is about 80cm. An explosive device was allegedly hidden under a bench on the platform opposite the second car of a train. The allegedly radio-controlled bomb was stuffed with pieces of metal. 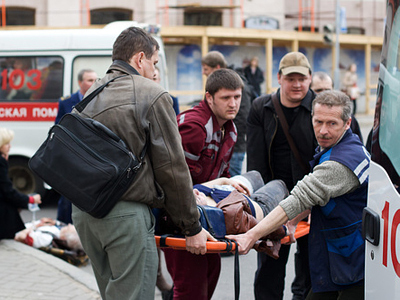 The list of those injured in Minsk Metro blast is available here. No one has claimed responsibility as yet. Shved believes the explosion was aimed at destabilizing the situation in the country. Earlier Belarusian President Aleksandr Lukashenko has ordered to step up security and “turn everything inside out” to find those responsible for the Minsk Metro blast. Russia has sent two criminal experts and a group of six specialists including neurosurgeons and traumatologists to Belarus to help those who suffered from the explosion. A group of ten psychologists from Russia’s Emergencies Ministry has left for Minsk on Tuesday to provide assistance to the injured and the relatives of those killed in the blast, Itar-Tass news agency quotes the ministry. Speaking to Belarusian President Aleksandr Lukashenko, Dmitry Medvedev stressed that Russia is ready to provide any help in the investigation. Russia’s Prime Minister Vladimir Putin also sent a wire to his counterpart in Belarus saying that they can rely on help from its neighbors. Israel and Great Britain have also offered their assistance. Meanwhile, around 300 people gathered at the entrance to the Oktyabrskaya metro station on Tuesday. Mostly young people from Minsk, they brought flowers and lit candles in commemoration of those killed in the blast. The plaques with the names of the victims have been placed at the entry to the station. 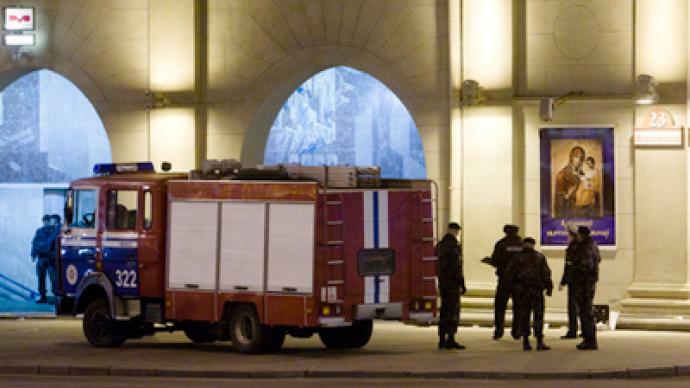 Minsk is reportedly calm, with one of two metro lines remaining closed to passengers. It is expected to re-open on Thursday. According to Anatoly Kuleshov, police are checking all means of transport to and from the country. March 13 has been declared a day of mourning in Belarus. Funerals will be held during three days, starting Thursday. 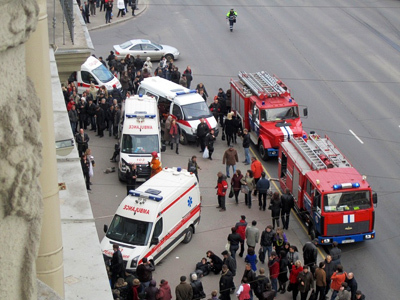 The explosion occurred at a busy metro station in the center of the Belarusian capital, Minsk, during the rush hour. Twelve people were killed and 192 were wounded. So far, ten of the dead have been identified. Over 150 people have been taken to hospital, with 26 of them in serious condition, 58 moderately injured and 67 in stable condition. ­Dmitry Babich, a political analyst from Russia's RIA news agency says Belarus has prided itself on not being a target for terrorists for quite a long time, but there are forces now who want to see president Lukashenko shaken, but he doubts it could be the internal opposition. “There is a big temptation for Lukashenko to blame it on the legal opposition “says Babich. “President Lukashenko will make every effort to conduct an impressive investigation and certainly life will change for tens of thousands of people.” adds Babich. ­Investigative journalist Paul Lashmar believes the attack may have been aimed at president Lukashenko himself, as he is quite a controversial figure. “What we might see is rising discontent with his authoritarian regime,” Lashmar said. “We might be seeing the effects of the ‘Arab Spring’ and events in the Middle East are begging to spread out, the effects of any country where the population detects a dictator,” he added. “Unless president Lukashenko moves to more democratic and properly supervised presidential elections Belarus may see more of this." ­Terrorism expert Phil Rees says the attack on the Minsk metro appears to have been quite sophisticated. What makes it very mysterious is that there are no obvious people who would like to strike at Belarus. The country’s opposition could hardly be behind it, as it is under constant control of the Federal Security Forces, he says.